Instead, states are allowed to choose how they track recidivism, as each state’s juvenile justice system differs in organization. This has left large gaps in accessible information, making it difficult for advocates to be able to determine the full extent of juvenile recidivism in the United States. In fact, eleven states do not track recidivism rates at all, and those that do often only focus on narrow measurements that don’t cover all the ways juveniles can end up involved in the justice system. A 2015 report from the CSG Justice Center compiled data from the 39 states that do track recidivism in order to compare the reported state statistics. The study found that juveniles were far more likely than adults to reoffend after release across all states. The highest reported recidivism rate for juvenile offenders was 76% within three years, and 84% within five years. When these juvenile offenders reach adulthood, the numbers are equally high. In 2015, Joseph Doyle, a researcher at MIT, decided to determine the rate of adult re-offense for prior juvenile offenders who spent time in a detention facility. Together with a colleague at Brown, Doyle analyzed data on 30,000 juvenile offenders over the previous ten years who had been involved in the Illinois juvenile justice system. Their study found that 40% of juvenile offenders were incarcerated in an adult prison for reoffending by the time they turned 25. The study also found that juvenile offenders have a very low rate of completing high school. Says Doyle, “We found that when kids went into juvenile detention, they were very unlikely to return to high school at all. Basically, none of them are graduating high school.” The lack of a high school diploma severely limits the types of jobs these prior offenders can get, which in turn can lead them back into the prison cycle. Up to two-thirds of juvenile offenders are also involved in the child welfare system, and these juveniles have been shown to be far more likely to reoffend than juveniles that had never been in the child welfare system. A 2011 study conducted in King County, Washington by Models for Change investigated the juvenile offenders in their justice system in order to better understand the correlation between child welfare (Children’s Administration, or CA, in the state of Washington) and juvenile recidivism. For youth involved in the juvenile justice system in King County, those who had never had any involvement with CA had a recidivism rate of 34% within two years. For youth that had extensive involvement with CA, that rate was 70%. When race is factored in, the numbers are even higher. African-American juvenile offenders with prior CA involvement had a recidivism rate of 75% within two years, and Native American offenders had a recidivism rate of 79%. 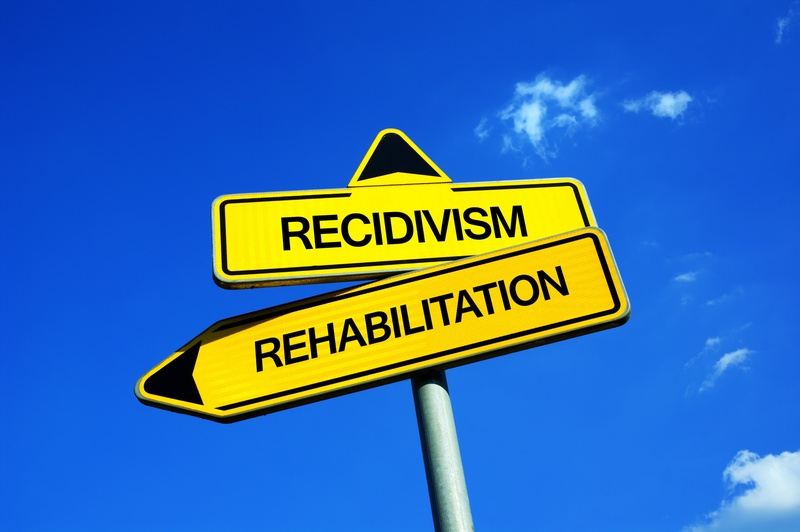 Another group at high risk for recidivism were females that had been involved with CA; their rate of recidivism within two years was 63%, compared to a rate of 27% for females with no history with CA. In 2011 The Annie E. Casey Foundation released a report titled No Place for Kids: The Case for Reducing Juvenile Incarceration. This report meticulously compiled research from across the United States regarding juvenile detention and recidivism. The report states that, “the overall body of recidivism evidence indicates plainly that confinement in youth corrections facilities doesn’t work well as a strategy to steer delinquent youth away from crime.” The report refers to the data available from the 39 states that do track juvenile recidivism; as not all states track information in the same way, the report covers all the terms states use to define recidivism. Re-arrest rates within two to three years range from 70 to 80 percent. New adjudications/convictions range from 38 to 58 percent within two years, and 45 to 72 percent within three years. Returns to custody range from 18 to 43 percent within two years, and 26 to 62 percent within three years. To lower these rates, the report recommends limiting placement in correctional facilities for only the juveniles that commit the most serious crimes. Both California and Texas enacted such regulations in 2007; by 2011, California saw a 40% drop in their incarceration rates, and Texas saw a 69% drop. The report also recommends the investment in non-residential community programs for moderately serious offenders, including evidence-based therapy, career preparation and vocational school, advocate and mentoring programs, and mental health and substance abuse treatment. In an attempt to reduce juvenile crime rates, Washington state passed legislation in 1997 called the Community Juvenile Accountability Act, which implemented programs aimed at rehabilitating juvenile offenders. In 2004, the Washington State Institute for Public Policy released a report assessing the law’s effectiveness. The study found that by focusing on programs such as family therapy and aggression replacement training, the state had not only managed to save $11.66 for every $1 spent, but the recidivism rate for juveniles in these programs dropped by 24% within the first eighteen months after release. Perhaps the most successful state at treating the juvenile crime and recidivism issue is Missouri, that in the 1980s dismantled its state-run juvenile offender training schools. Instead, Missouri opened a series of small, treatment-oriented facilities for juvenile offenders. The No Place for Kids report lists Missouri’s three-year juvenile recidivism rate at just 16.2%--significantly lower than any other reporting state. While the information on juvenile recidivism is incomplete, what data we do have is still bleak. The rate recidivism for juveniles is far too high, especially for juveniles who have been involved in the child welfare system, and juveniles of color. New approaches being taken in some juvenile justice systems, namely in Washington and Missouri, prove that progress can be made if effort is put in to changing policies, thus improving the lives of the nation’s at-risk juvenile population. For more information about youth crime prevention and intervention, visit our youth crime resources page by clicking here.